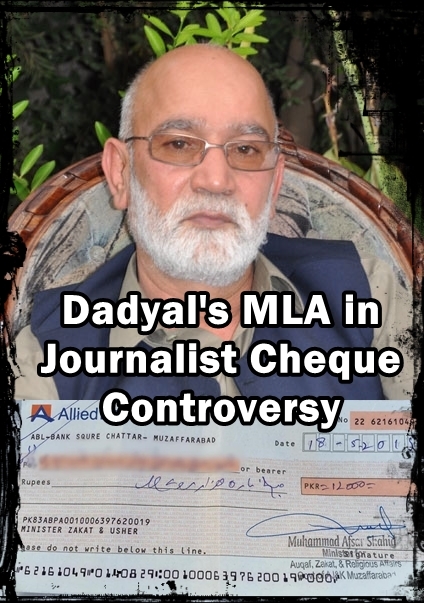 Accusations have been made against Dadyal’s MLA Afsar Shahid after it was found that he’d given a cheque from public funds to the relative of a local journalist. The recipient of the cheque was to forward the cash to the journalist who is known to report in favour of the MLA. The controversy comes at a time when Dadyal is in a desperate state with many blaming Afsar Shahid, who was elected in 2011, for its lack of progress. Afsar Shahid is also Minister of Zakat for Azad Jammu & Kashmir. The allegation is that the cheque was given to thank the journalist for writing biased articles. However, those who are defending the MLA argue that the accusations are nothing more than political tactics ahead of next year's election. It is believed that the cheque came from the Zakat fund as the MLA’s Public Relations Officer (PRO) initially accepted that this was the case when questioned by a group of locals regarding the matter. However, the PRO later changed his stance; denying that the cheque came from the Zakat fund. The people who have made the accusation have uploaded the cheque on social media which clearly has the signature of the MLA. However, supporters of the MLA claim that the cheque is from a separate fund which is allocated to ministers who are then able to distribute it based on their own discretion. 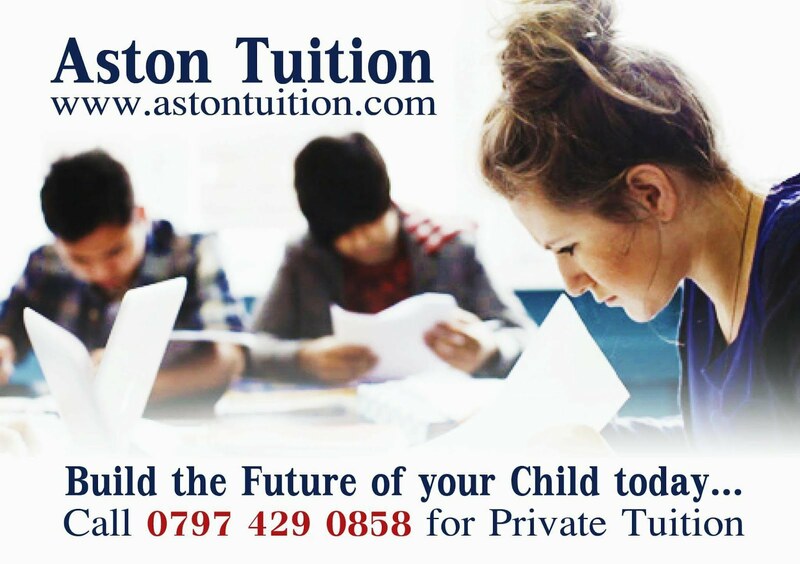 For example, such funds can be used to provide financial rewards to sportsmen for excellence. Nevertheless, it is concerning that an MLA is giving cheques to journalists who are supposed to be reporting fairly rather than giving powerful men a platform to promote themselves. Individuals who are defending the MLA claim that the journalist is from a poor background and is deserving of such financial support. Regardless of which budget the cheque was from, there is clearly a conflict of interest. 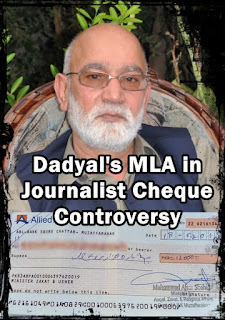 If the MLA was genuinely helping a ‘journalist in need’, why did he have to write the cheque to a relative of the journalist? Why is it that hundreds of poor people are neglected in AJK but a 'poor journalist' is given a cheque? In December 2013, the Express Tribune (article link) reported that hundreds of millions of rupees had gone missing from AJK Zakat funds. Ministers were accused of using such funds for their own medical treatment and to reward their supporters. The latest controversy in Dadyal has led to locals questioning the intent of Afsar Shahid who many believe has failed to live up to expectations. However, it must be noted that he is generally known as a man of good character who is approachable and ready to listen to feedback from his constituents. But we cannot deny that in a country such as Pakistan, Zakat funds rarely get to the poor. The question is where is the money going? The poor people of Dadyal continue to struggle in their lives and are deprived of jobs, electricity, adequate medical care and a fair legal system (to name a few of the problems faced). Whilst on the other hand, politicians are living in luxury; attending lavish events and living VIP lifestyles. The issue here is not about one cheque but it’s about the entire system which leads to poor people paying the ultimate price. Recently, in Dadyal, a poor widow died after not being able to cope with the stress and pressures of having to provide for her children after thieves stole the little money that she had. The poor people have little hope and they have no choice but to die suffering – if only Zakat money actually got to them!